Finally. We have reached the end of Kakashi fluff series. This episode in my opinion was a very deep look into the meticulous planning of every aspect put into creating teams. It also brings the idea that nothing happens by chance. What we see happening now was carefully thought out in hopes that it will all work out by faith. 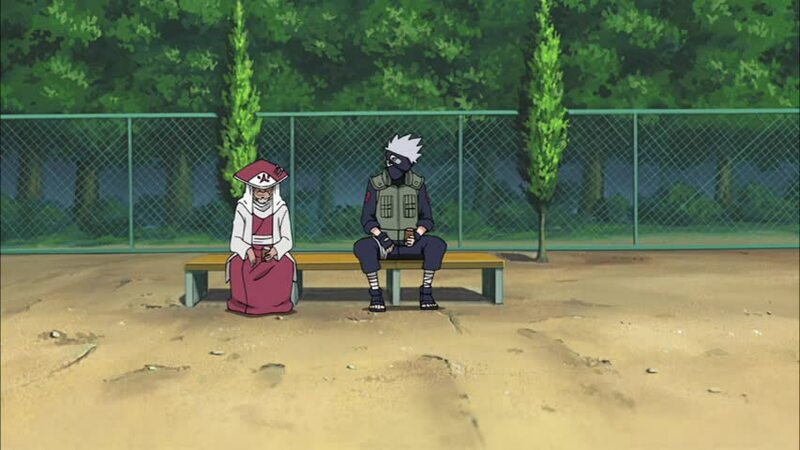 So we have the Third Hokage talking with Kakashi about the team he is about to teach. The infamous team seven. Three unlikely candidates. Each to pull their strengths and weakness from each other. 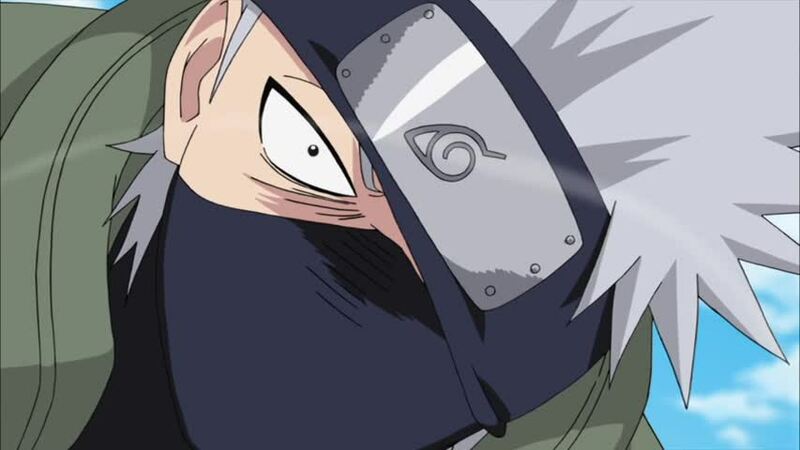 Their teacher Kakashi still fighting past demons will shape them into the ninjas we love and know. While watching this scene I couldn’t stop thinking about how the future was uncertain but turned out just how they planned it. 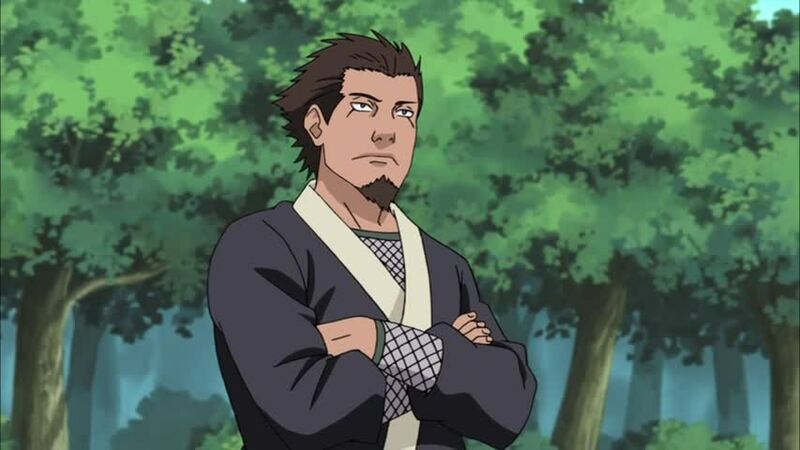 Who would of known that the goof ball orphan would be the savior of the Hidden Leaf Village. Life is about choices. Having a dark past doesn’t mean your future has to be dark. We see that with Kakashi. With all the death in his life one would think he would end up a serial killer. Instead he found the light at the end of the tunnel. To be more than a killer but a teacher, and a friend. 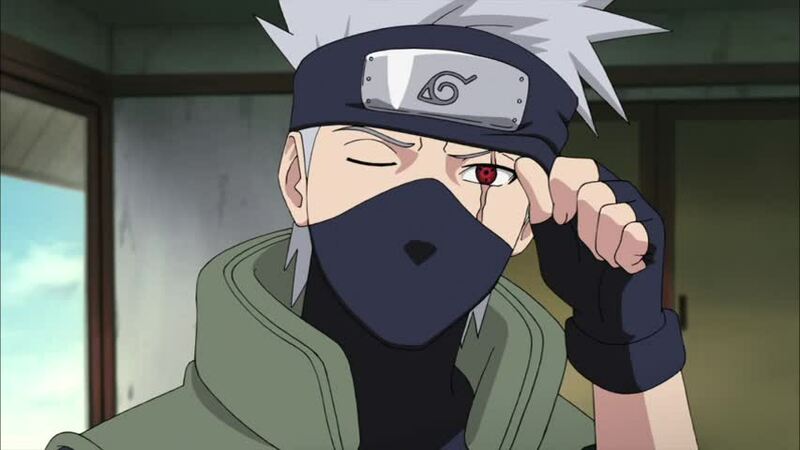 The Narutoverse wouldn’t be what it is without Kakashi. We understand the important role he played in shaping Naruto about caring so much for his teammates. Not giving up on a friend was definitely passed on from Teacher to student. 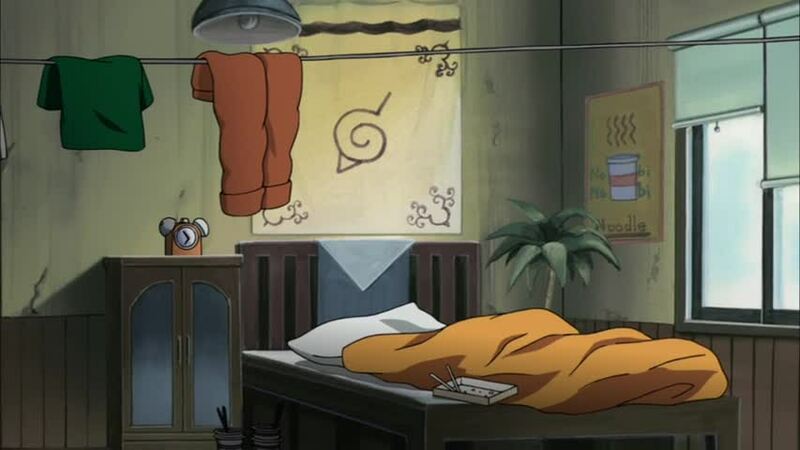 Naruto’s room. Dude is an epic slob. 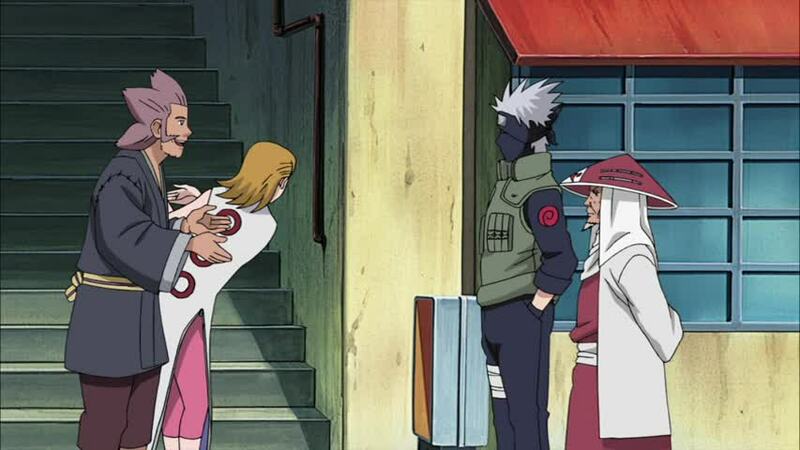 The most interesting thing about this episode is how Sakura was placed on the team. Somehow the Third knew Naruto would fall in love with her. Something about the power of the “P” make a man do all sort of things. Well I personally disagree with his choice for Naruto. We all know Hinata is the girl for Naruto. She is more than capable of bearing his many children and loving him for the rest of his life. We all know Sakura head over heels for Sasuke. 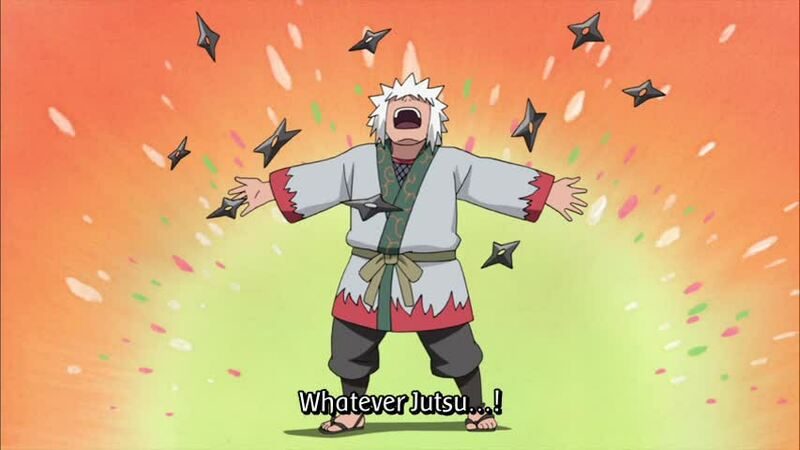 As soon as Naruto understand that and move on all will be good. Until then we just have to suffer and watch him try endlessly to try and impress that flat chest pink head monkey child. We have a pound of weed not smoked yet! Come lets eat Cheetos and drink tea! 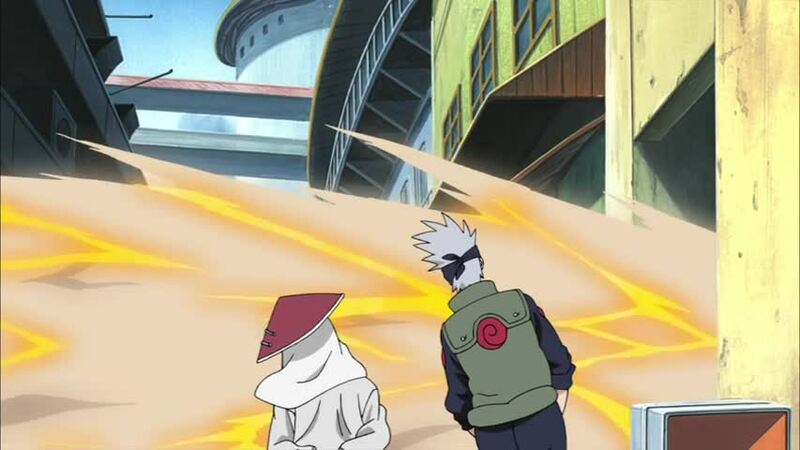 Kakashi’s pain ended with this episode. His resolve concluded with team seven. They gave him another reason to fight. All ninjas have a reason to fight. Some fight for revenge. Some fight for love. While others fight for the future. I know this arc was long over due and it had some deep revelations. For those who hate fluff episodes I think this arc was good. I know now why Kakashi stood like a statue when he saw Obito. For years he thought him for dead. For years he woke up in the middle of the night under a cold sweat seeing Rin’s face. Death was all he saw. And now he see his friend. 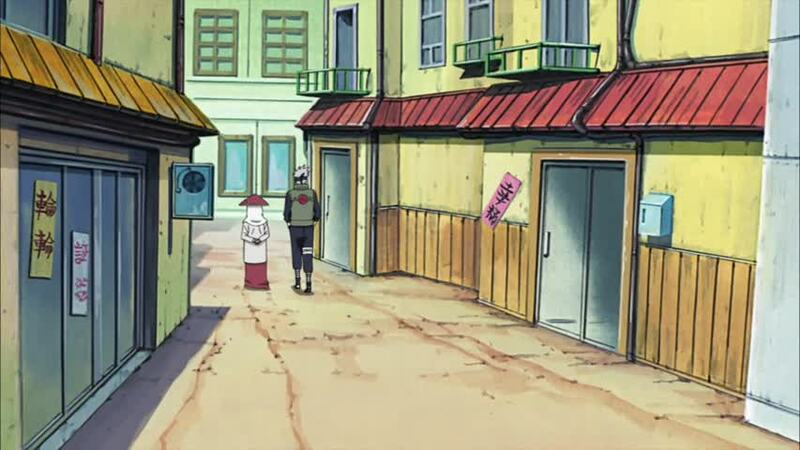 At the fourth great ninja war. 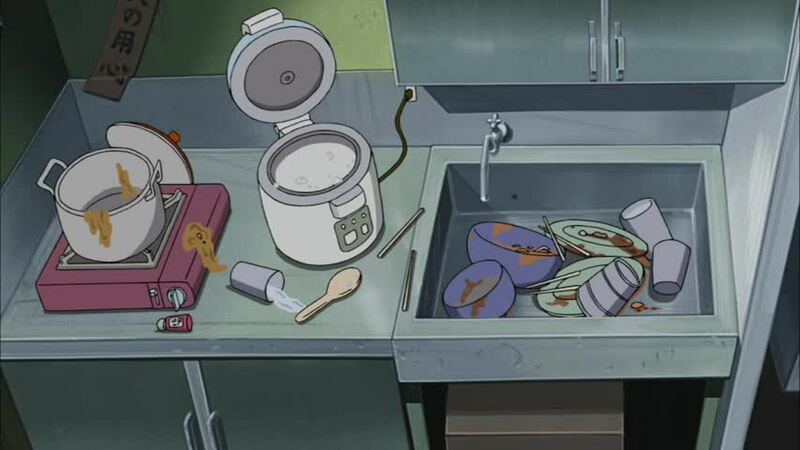 This arc brought to our attention the pain one ninja caused another. Epic stuff. My fellow Naruto fans the time is now. Call your friends. Let them know that the fluff is over.The main arc is coming back. No more flash backs. No more questions. We will finally see what is happening with the Kages. We will see what is happening with Sasuke and Orochimaru aka Vibes Cartel Cousin. The excitement is literally beaming all over me. So all in all this episode is just to set us up for what we all been waiting for. The main event is about to start!! So till the next episode stay frosty! !